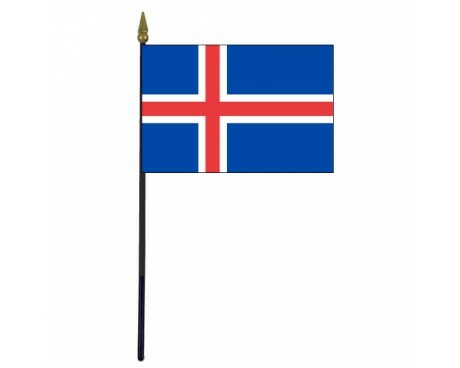 Iceland Stick Flag - 4x6"
Iceland is a young nation, but Iceland flags draw on a long tradition that dates back to the medieval period. 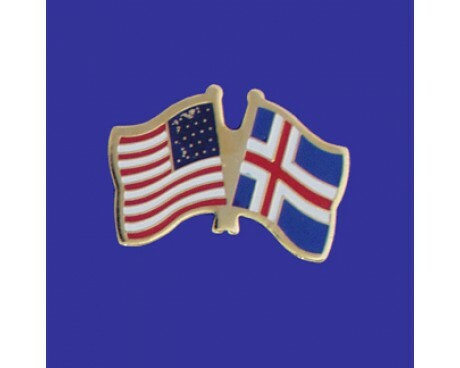 Like many other Nordic nations, Iceland chose to represent itself with the Scandinavian cross. Iceland flags display the cross in red and white on a blue field. The blue field is said to represent the sea that surrounds Iceland, while the represents the nation's volcanoes and the white represents the snow and ice that cover the island. The red and white also represent the nations past because they are the colors of the Danish flag that the nation used when it was a Danish territory. The cross design also represents the nation's Nordic heritage, because it is common to the majority of the flags used by Scandinavians. The history of the flag of Iceland begins with the flag of Denmark. Legends say that a red flag with a white cross fell from the sky before the Danish army fought and won the Battle of Valdemar in the 13th century, and that the Danes have used it as their flag ever since. 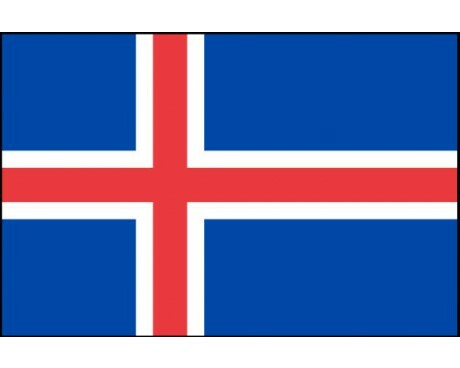 It also became the first flag of Iceland because Iceland began as a Danish colony. Iceland had an unofficial flag that was in common use among Icelanders who wanted to establish a republic before the nation gained its independence. The flag featured a white cross on a blue field. It was a reasonably popular design among the citizens, but it never gained official recognition. 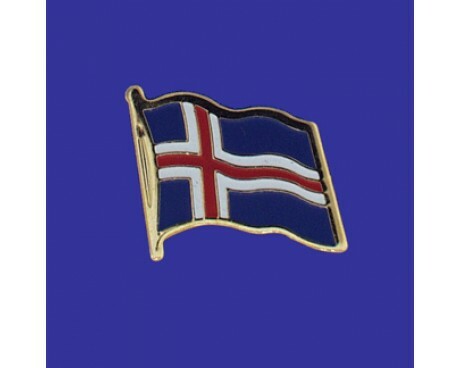 The Icelandic government only used the Danish flag until it gained its independence from Denmark in 1944. Iceland abandoned the Danish flag and adopted its modern design on June 17th, 1944, which was the same day that it became fully independent of Denmark. The new government recognized that it needed a flag to represent itself as an independent nation, but it did not want to abandon its Scandinavian heritage. It managed to achieve both of those goals by maintaining the fundamental design of the Danish flag, which is similar to the rest of the Scandinavian flags, but changing the colors to better represent the nation of Iceland.